Digital health technologies use modern technological tools such as information technology (IT) and electronic communication tools (mobile phones, smartphones, tablets, laptops, the internet) to increase the efficiency of healthcare services [1, 2]. 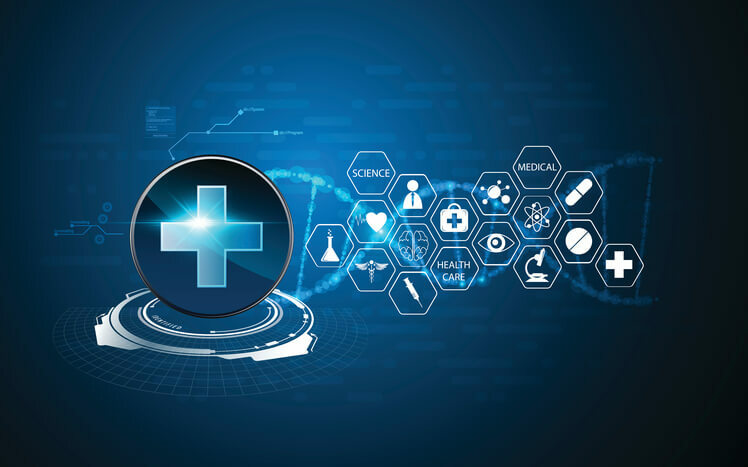 These technologies allow a creation of professional networks that connect general public, patients, health care providers, health care companies, IT practitioners and sports experts to provide the most efficient services. The technologies that come under the umbrella of DHT include but are not limited to Health information technology (IT), mHealth, Portable and wearable devices, eHealth, Telehealth/connected health, Gamification, Big data, Personal Genomics, Health and wellness apps, Interoperability, Social media and Quantified self. Further classification of these DHT is shown in Figure 1. 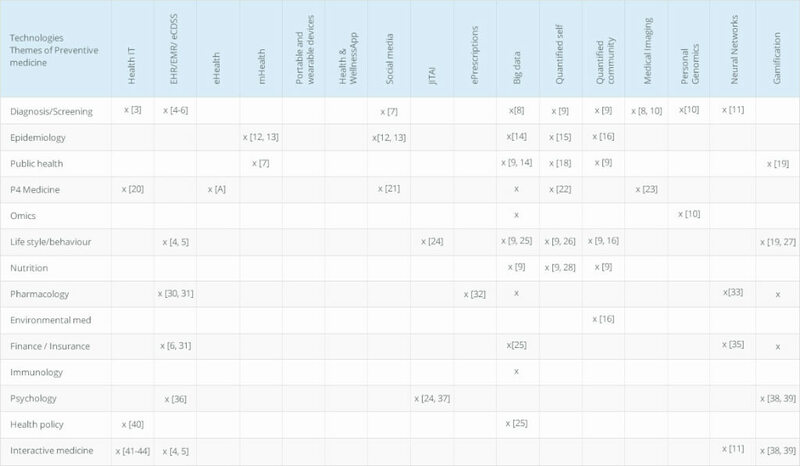 The use of 4 Digital health technologies and their application in preventive healthcare Table 1. 3) Electronic health information exchange (HIE) is a method that allows doctors, pharmacists, and patients electronically share and access patient’s medical information ensuring efficiency, high quality of service while maintaining the patient’s privacy and confidentiality [45, 46]. Information technology meeting the medicine or what is called now as ‘ITicine’ is a constantly evolving theme of preventive medicine. It involves a use of IT in the development of diagnostic techniques, screening methods, analysis of large amounts of data . The advances of ITicine proposes the use of ‘caring machines’ with the patients to aid in treating patients . In fact, IT is becoming an integrative framework with the P4 medicine . Both structures are aimed at cost-effective, efficient and personalized treatment or prevention of disease conditions. IT-based technology emphasizes on improved communication (interactive health communication) between medical professionals, scientists, patients and other interested parties such as policy makers . The interactive health communication employs internet/web-based services and collection of health data from patients to support patients in improving their health and preventive health strategies [41-44]. EHR/EMR are a subcategory of healthIT that are currently perceived to be an invaluable tool in preventive health care. EHR/EMR aids in streamlining the preventive health care services in many ways. 1) EHR-generated clinical reminders: such reminders provide a handy tool for tracking and maintaining proper treatments, screenings, and other health care services . 2) EHR-facilitated decision support: this feature is customized and evidence-based. The reports generated by EHR/EMR impact the behavior of the clinician in a way that they are aided in proper recognition and management of the patient’s conditions while the expected outcome is to improve patient’s behavior and health status. Electronic clinical decisions support systems (eCDSS) are applications that can be used to analyze data from EHR/EMR and help or guide the clinicians to make evidence-based clinical decisions . Few clinical trials have shown EHR/EMR-eCDSS systems show likely health outcomes through providing decisions on prescriptions, counseling and ordering more screening tests . In fact, this evidence-based decision-making process facilitates accurate diagnosis . The efficiency and success of such systems can be improved by proper training of the health care providers on EHR/EMR-eCDSS . The development of viable EHR/EMR-eCDSS systems requires the participation of health care providers, software companies, and financial investors. The complex nature of the clinical workflows and the costs and time to be taken by the medical institutions to implement and maintain functional EHR/EMR-eCDSS systems are current challenges . The evidence-based decisions also involve prescriptions and communications with the pharmacy. Therefore, the EHR/EMR-eCDSS and pharmacy services are interconnected . The software has information regarding drug interactions, effects on pregnancy, dosage, and alternatives . Moreover, billing, filling, insurance systems have also become essential components of the EHR/EMR-eCDSS systems. As this decision-making process is electronically available, it also aids protection services to evaluate the treatment plans  correctly. ‘Smart Forms’ under EHR/EMR-eCDSS systems have been implemented which further facilitate the preventive care through documentation-based clinical decision support. The software associated with the ‘Smart Forms’ allow recording multiple health problems, a capture of coding and tailored recommendations . There are specific and targeted EHR/EMR-eCDSS systems for mental health/psychology facilities. For instance, PIMSY is a software specially designed for EHR for mental and behavioral health providers (https://pimsyehr.com/) . 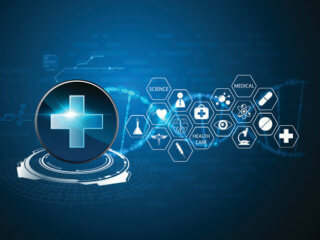 Electronic health or eHealth use IT facilities that are not limited to the internet, robotics, virtual reality and digital gaming in medical applications. As illustrated in Figure 1, eHealth itself is an umbrella term under which mHealth, eHealth, ePrescribing and Telehealth are also contributing to preventive medicine approaches. These technical applications facilitate all aspects of preventive medicine . Some professionals categorize EHR/EMR within eHealth as it employs electronic/digital facilities [51, 53]. Mobile devices and wireless devices used in healthcare application are referred to as mHealth . The tools and services that come under mHealth can be quite diverse and so are their applications in preventive medicine. As illustrated in Figure 1, Apps, texts, remote sensing, GPS, wearable devices, wireless devices, social media applications, biometrics and last but not least, just-in-time adaptive intervention technologies are sub-technologies under mHealth [55, 56]. Text messages: Text messages are used in preventive medicine in many ways. They can be used to deliver reminders/alerts for appointments, taking medications, consultations and prenatal support . Their use in mediating short-term behavioral changes  and assessment of health status . mHealth Apps: There are several categories of mHealth Apps; General health care apps (Eg Health tracking, medication tracking, women’s health), Fitness apps (Eg. Wellness, nutrition, exercise), Medical information apps (Diagnostics, references and GPS locations of health care facilities, medical education, health alerts, closest ER services), Remote monitoring apps, Consultation apps, Healthcare management apps (payments, insurance, claims). As their name implies, they are usable for preventive medicine applications. Speaking from a business perspective, development of mHealth Apps occur in three phases, the Trial phase, Commercialization phase and Integration phase which may be highly influenced by the type of preventive medicine application/theme and the group targeted by the App. These are mainly the apps for patients. Other than that, there are mHealth apps for health care professionals which provide medical information/education, drug interactions, remote monitoring, consulting and collaboration . Social Media: Social media such as Facebook, Twitter, and Instagram have become a traditional means of data collection for epidemiological studies regarding preventive medicine. Many studies have used the words employed in Twitter to gather prevalence and health status of a particular population . For instance, epidemiological studies, real-time remote monitoring, and prediction of HIV outbreaks have been carried out using Twitter which provides inexpensive and real-time digital technology in preventive medicine [12, 13]. For the same reason, social media sites such as Twitter and Facebook are now considered as ‘public health monitoring tools’ . In many of these studies, gamification is also used to persuade people to comment or participate in social media surveys . Just-in-time adaptive interventions (JITAI): This can be considered as a framework more than a technology which utilizes mobile phones to deliver health and psychological, behavioral interventions ‘at the right time and exactly when needed’ [24, 37]. Electronic prescribing is a technology which electronically connects healthcare practitioners with pharmacies or other health care providers so that prescriptions can be delivered immediately and on time . While it is still facing many challenges about patient safety and implementations, it has been shown to significantly reduce prescription errors and ‘preventable adverse drug events’ . Gamification is the act of applying game playing elements on other non-game related activities to promote or encourage specific outcomes, products or services . The theories of gamification can be used in the development of ‘digital games with purpose’ for the benefit of public health . Thus gamification in preventive medicine practices brings clinicians, software developers, IT-personnel, policy makers and financial investors into one setting . Smartphone and other electronic devices have become ideal platforms for the delivery of gamification-based preventive interventions to healthy individuals to maintain their good health as well as patients to improve their conditions. The use of game theory or game mechanics encourages them to engage in activities that enhance their health . Most frequently seen gamification in preventive medicine is the use of smartphone apps to encourage exercise or other physical activities through reward systems. For example, www.zamzee.com provides activity trackers for children who track their physical activities and pay them (gift cards, virtual dollars, virtual prizes) based on the success, intensity of their activities and achievements of daily goals. Using this application, a group of kids with obesity was shown to improve their physical health . Similarly, Ayogo’s Patient Engagement Platform (http://ayogo.com/) provides mobile software that determines whether a medication or a device is fully functional through patient engagement using gamification. They promote and persuade medication adherence, supervised weight-management, patient learning and behavioral practices . One example is their diabetes tracking app which uses daily goals. These applications also allow incorporation of psychological support (positive psychology), economics, and social context of health care [38, 39]. Many other companies provide ‘preventive health care games’ which are fun, interactive, persuasive, highly accessible to the patients and have the high impact on patient’s lifestyle, behavior, habits, and psychology. Mango Health (https://www.mangohealth.com/) provides monetary rewards (gift cards) to the patient or donations to charity for taking the medication on time. Some of these applications such as Reflexion Health (http://reflexionhealth.com/) and Respond Well(http://www.respondwell.com/) use ‘motion-guided technology’ and Tele-rehabilitation platform to advise patients with virtual physical therapy practices and also remote monitoring and adjustment of the patient’s progress during at-home therapy sessions. There are different types of Big data groups. While the classification can be up for a broad interpretation, several studies point out at least five different types of big data. 1) Human-sourced data from Social Networks which include social media sites, blogs, YouTube, mobile phone text messages data and emails ; 2) Business based process-mediated data which include data collected from public agencies, business documents, banking and e-commerce ;3) Machine-generated data from internet that includes data from computer logs, data from sensors (mobile or fixed) ; (4) Quantified Self or life logging collects data from a person’s daily life, and 5) Quantified Community which is a novel concept to gather information from whole communities which may extend from resident habits to environmental quality, and thus these communities are called ‘data-rich research environment’ . The data collected from all five categories come from general population which is composed of people undergoing different stages of preventive health care and thus is useful in many ways. The data collected from individuals, communities, Internet, sensors and business platforms can immensely contribute to epidemiological studies and identification, tracking and monitoring of public health . The incorporation of big data into epidemiology and public health within preventive medicine can be based on 3Vs’: high variety, high volume, and high velocity of information [14, 69]. Under quantified self and quantified community, data collected regarding nutrition, fitness, mood, psychological status, physical activity and prescribed medicine, self-diagnosis can be highly valuable regarding preventive medicine applications . Even though the data collected from the quantified self-method are relatively smaller than the other four categories, it is considered as ‘big individualized data’ from healthy and sick people undergoing different stages of preventive medicine and has proven much promise in improved life quality . The health sector is uniquely vulnerable to cyber-attacks, mostly due to the financial value of the information. According to a recent report, health care has the highest per capita cost for individual stolen records (approximately $363), as compared to any other industry . Based on a 2015 report on health care data security, the average cost of a data breach for the health care organization is estimated at more than $2.1 million, highlighting the enormous financial cost of neglecting privacy and security measures. Other forms of criminal activity that threatens health care privacy include medical identity theft, fraud (especially those that target prescription drug programs), and phishing . 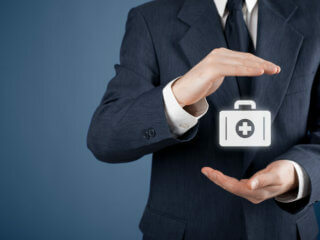 Another area of concern is the lack of privacy policies in many mHealth sectors. For instance, an analysis of mobile medical, health, and fitness apps in 2013 revealed that privacy policies were completely lacking for 40% of paid apps, roughly only 50% of apps encrypted personally identifiable information (PII) being sent over the Internet and 83% of both free mobile health and fitness apps store data locally on the device without encryption . These findings highlight the urgent need for updated security and privacy policies for all forms of digital health. Companies developing/marketing digital health products, including the ones used for preventive medicine, are regulated by three main organizations, the Food and Drug Administration (FDA), the Federal Trade Commission (FTC) and the Health Insurance Portability and Accountability Act (HIPAA), a law designed to protect patients’ medical records. Digital start-up companies must comply with these regulatory agencies or face possible impediments in the release of their products. FDA can regulate MHealth/e-Health applications that function as or control medical devices, such as a blood pressure monitor, and could pose a risk to patients’ safety if they don’t work as intended. This potentially also includes apps designed “for general wellness use” i.e. the majority of consumer-facing digital apps on the market, which although isn’t a direct focus for FDA scrutiny, is still subject to its regulation. FTC, on the other hand, is more focused on claims put out by digital products, and regulates the right marketing of health products, among other areas (http://fortune.com/2016/07/18/digital-health-regulations/). 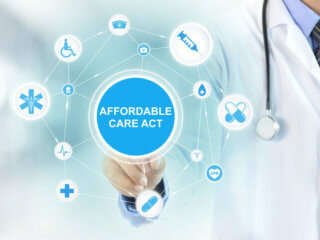 The HIPAA act has two distinct regulatory facets, the “Privacy Rule” that governs permissible uses and disclosures of protected health information (PHI), and the “Security Rule” that governs electronic storage and transfer of PHI by certain covered entities, including health plans, healthcare providers and any business associates of these entities. These measures by HIPAA ensure proper protection of electronic records both at the consumer and healthcare provider level. Many lines of anecdotal evidence have often pointed towards a communication/culture barrier between practitioners in the tech industry and the healthcare sector. One of the main reasons could be the lack of or minimal involvement of health professionals in the development of digital health technologies. However, often healthcare professionals are the best evaluators of the potential for a novel digital health product, based on their vast experience on consumer expectations, which is developed by interacting with patients towards whom these devices are targeted. One of the major disadvantages of lack of proper consultation with appropriate health care professionals during the development of a digital tool is the loss of its full range of potential regarding applications. For instance, many apps focus on a single aspect of a person’s health, or a rare disorder whereas, in reality, patients with the greatest need have multiple chronic conditions. Therefore, appropriate and timely consultation with medical professionals is crucial for the successful development of digital healthcare technologies . 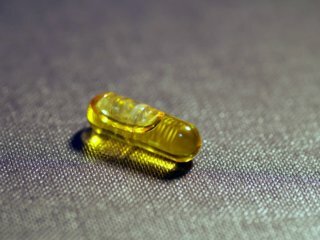 FDA. Digital Health 2017. Available from: https://www.fda.gov/MedicalDevices/DigitalHealth/. Innovatemedtec. Welcome to Innovatemedtec digital health web pages. Available from: https://innovatemedtec.com/digital-health. Bushko RG. Strategy for the Future of Health: Goal Formation and ITicine. Studies in health technology and informatics. 2009;149:3. Lin KW. Do electronic health records improve processes and outcomes of preventive care? American family physician. 2012;85(10):956.
aureckas SM, Zweigoron R, Haverkamp KS, Kaleba EOB, Pohl SJ, Ariza AJ. Developing an electronic clinical decision support system to promote guideline adherence for healthy weight management and cardiovascular risk reduction in children: a progress update. Translational behavioral medicine. 2011;1(1):103-7. doi: 10.1007/s13142-011-0019-1. PubMed PMID: PMC3717691. Castaneda C, Nalley K, Mannion C, Bhattacharyya P, Blake P, Pecora A, et al. Clinical decision support systems for improving diagnostic accuracy and achieving precision medicine. Journal of clinical bioinformatics. 2015;5(1):4. Stoové MA, Pedrana AE. Making the most of a brave new world: Opportunities and considerations for using Twitter as a public health monitoring tool. Preventive medicine. 2014;63:109-11. Siuly S, Zhang Y. Medical Big Data: Neurological Diseases Diagnosis Through Medical Data Analysis. Data Science and Engineering. 2016;1(2):54-64. doi: 10.1007/s41019-016-0011-3. Moschel M. The Beginner’s Guide to Quantified Self (Plus, a List of the Best Personal Data Tools Out There). Technori com. 2013. Belle A, Thiagarajan R, Soroushmehr SMR, Navidi F, Beard DA, Najarian K. Big Data Analytics in Healthcare. BioMed Research International. 2015;2015:370194. doi: 10.1155/2015/370194. PubMed PMID: PMC4503556. Sapna S, Kumar MP. Diagnosis of disease from significant clinical data using the neural network. Indian Journal of Science and Technology. 2015;8(24). Ireland ME, Schwartz HA, Chen Q, Ungar LH, Albarracín D. Future-oriented tweets predict lower county-level HIV prevalence in the United States. Health Psychology. 2015;34(S):1252. Young SD, Rivers C, Lewis B. Methods of using real-time social media technologies for detection and remote monitoring of HIV outcomes. Preventive medicine. 2014;63:112-5. Mooney SJ, Westreich DJ, El-Sayed AM. Epidemiology in the Era of Big Data. Epidemiology (Cambridge, Mass). 2015;26(3):390-4. doi: 10.1097/EDE.0000000000000274. PubMed PMID: PMC4385465. Cowley SJ, Valle-Tourangeau F. Cognition Beyond the Brain: Computation, Interactivity, and Human Artifice: Springer Publishing Company, Incorporated; 2013. 462 p.
Leber J. Beyond the Quantified Self: The World’s Largest Quantified Community. Fast Company. 2014:109-14. Ferreira JD, Paolotti D, Couto FM, Silva MJ. On the usefulness of ontologies in epidemiology research and practice. Journal of Epidemiology and Community Health. 2013;67(5):385-8. doi: 10.1136/jech-2012-201142. Swan M. The Quantified Self: Fundamental Disruption in Big Data Science and Biological Discovery. Big data. 2013;1(2):85-99. Epub 2013/06/01. doi: 10.1089/big.2012.0002. PubMed PMID: 27442063. Schuman AJ. Using tech to fight kids’ obesity. 2015. Hood L, Friend SH. 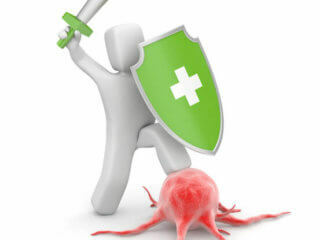 Predictive, personalized, preventive, participatory (P4) cancer medicine. Nature Reviews Clinical Oncology. 2011;8(3):184-7. Vogt H, Hofmann B, Getz L. The new holism: P4 systems medicine and the medicalization of health and life itself. Medicine, Health Care, and Philosophy. 2016;19(2):307-23. doi: 10.1007/s11019-016-9683-8. Hood L, Auffray C. Participatory medicine: a driving force for revolutionizing healthcare. 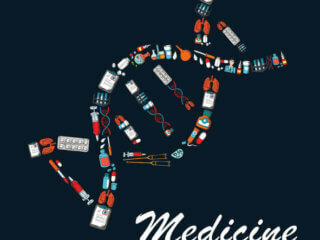 Genome medicine. 2013;5(12):110. Bradley WG, Golding SG, Herold CJ, Hricak H, Krestin GP, Lewin JS, et al. Globalization of P4 Medicine: Predictive, Personalized, Preemptive, and Participatory—Summary of the Proceedings of the Eighth International Symposium of the International Society for Strategic Studies in Radiology, August 27–29, 2009. Radiology. 2011;258(2):571-82. doi: 10.1148/radiol.10100568. PubMed PMID: 21273521. Nahum-Shani I, Smith SN, Tewari A, Witkiewitz K, Collins LM, Spring B, et al. Just in time adaptive interventions (jitais): An organizing framework for ongoing health behavior support. Methodology Center technical report. 2014;(14-126). European_Commission. The Use of Big Data in Public Health Policy and Research: Background information document 2014. Available from: http://ec.europa.eu/health/sites/health/files/ehealth/docs/ev_20141118_co07b_en.pdf. Choe EK, Lee NB, Lee B, Pratt W, Kientz JA, editors. Understanding quantified-selfers’ practices in collecting and exploring personal data. Proceedings of the 32nd annual ACM conference on Human factors in computing systems; 2014: ACM. Brennan DM, Lum PS, Uswatte G, Taub E, Gilmore BM, Barman J, editors. A telerehabilitation platform for home-based automated therapy of arm function. Engineering in Medicine and Biology Society, EMBC, 2011 Annual International Conference of the IEEE; 2011: IEEE. Ruckenstein M, Pantzar M. Beyond the Quantified Self: a Thematic exploration of a dataistic paradigm. new media & society. 2015:1461444815609081. Rotegard AK. Documentation and Reporting of Nutrition – Interoperability, Standards, Practice, and Procedures. Studies in health technology and informatics. 2016;225:756-8. Epub 2016/06/23. PubMed PMID: 27332331. Kuperman GJ, Bobb A, Payne TH, Avery AJ, Gandhi TK, Burns G, et al. Medication-related clinical decision support in computerized provider order entry systems: a review. Journal of the American Medical Informatics Association. 2007;14(1):29-40. Rothman B, Leonard JC, Vigoda MM. Future of electronic health records: implications for decision support. Mount Sinai Journal of Medicine: A Journal of Translational and Personalized Medicine. 2012;79(6):757-68.
van Doormaal JE, van den Bemt PM, Zaal RJ, Egberts AC, Lenderink BW, Kosterink JG, et al. The influence that electronic prescribing has on medication errors and preventable adverse drug events: an interrupted time-series study. Journal of the American Medical Informatics Association. 2009;16(6):816-25. Open_clinical. Artificial Neural Networks in Healthcare: A Short Review 2005. Available from: http://www.openclinical.org/neuralnetworksinhealthcare.html. Williams AJ, Harland L, Groth P, Pettifer S, Chichester C, Willighagen EL, et al. Open PHACTS: semantic interoperability for drug discovery. Drug Discovery Today. 2012;17(21–22):1188-98. doi: https://doi.org/10.1016/j.drudis.2012.05.016. Zhuang G. Neural Network Model of Pricing Health Care Insurance. arXiv preprint arXiv:13076290. 2013. PIMSY. All About PIMSY 2016. Available from: https://pimsyehr.com/resources/all-about-pimsy. Nahum-Shani IB. Just In Time Adaptive Interventions for Promoting Mental Health Among College Students. Available from: http://studenthealth.cs.dartmouth.edu/pdf/paper_29.pdf. Ayogo.com. Mobile Innovation Empowers Behavior Change. Available from: http://info.ayogo.com/hubfs/3.collateral/Empower/Empower-MobileInnovation-Handout3_FA3.pdf?hsCtaTracking=6e52ecf4-c0ce-401f-8569-8c716f734658%7C7b40530a-7bcb-4bad-9f54-f46e38bda4f0&submissionGuid=1894b193-0744-43fa-b8c0-73dd65b88f40. Edwards EA, Lumsden J, Rivas C, Steed L, Edwards L, Thiyagarajan A, et al. Gamification for health promotion: a systematic review of behavior change techniques in smartphone apps. BMJ open. 2016;6(10):e012447. Berliner L, Lemke HU. An Information Technology Framework for Predictive, Preventive and Personalised Medicine: A Use-Case with Hepatocellular Carcinoma: Springer; 2015. Cho JH, Kim HS, Yoo SH, Jung CH, Lee WJ, Park CY, et al. An Internet-based health gateway device for interactive communication and automatic data uploading: Clinical efficacy for type 2 diabetes in a multi-centre trial. J Telemed Telecare. 2016. doi: 10.1177/1357633X16657500. PubMed PMID: 27381040. Harvey A, Walsh M, Jain AK, Bosch E, Moreau C, Garland J, et al. The WISHED Trial: implementation of an interactive health communication application for patients with chronic kidney disease. Can J Kidney Health Dis. 2016;3:29. doi: 10.1186/s40697-016-0120-y. PubMed PMID: 27307996; PubMed Central PMCID: PMCPMC4908673. Homma S, Imamura H, Nakamura T, Fujimura K, Ito Y, Maeda Y, et al. A comparative study on the effectiveness of one-way printed communication versus videophone interactive interviews on health promotion. J Telemed Telecare. 2016;22(1):56-63. doi: 10.1177/1357633X15587436. PubMed PMID: 26026183. Swallow V, Carolan I, Smith T, Webb NJ, Knafl K, Santacroce S, et al. A novel Interactive Health Communication Application (IHCA) for parents of children with long-term conditions: Development, implementation and feasibility assessment. Inform Health Soc Care. 2016;41(1):20-46. doi: 10.3109/17538157.2014.948174. PubMed PMID: 25119067. Rouse M. Health IT (health information technology)- Definition: TechTarget; 2016. Available from: http://searchhealthit.techtarget.com/definition/Health-IT-information-technology. HealthIT.gov. Health Information Exchange (HIE): HealthIT.gov; 2014. Available from: https://www.healthit.gov/providers-professionals/health-information-exchange/what-hie. Bushko RG. Future of e-health: can consumers cure themselves. Stud Health Technol Inform. 2009;149:178-84. 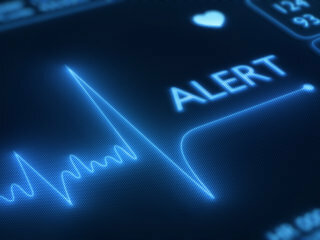 Mitchell D. EHRs Prompt Better Uptake of Preventive Services, Help Track Patients’ Progress 2011. Available from: http://www.aafp.org/news/ehr/20110401ehrclinical.html. Berner ES. Clinical decision support systems: Springer; 2007. Schnipper JL, Linder JA, Palchuk MB, Einbinder JS, Li Q, Postilnik A, et al. “Smart Forms” in an Electronic Medical Record: Documentation-based Clinical Decision Support to Improve Disease Management. Journal of the American Medical Informatics Association: JAMIA. 2008;15(4):513-23. doi: 10.1197/jamia.M2501. PubMed PMID: PMC2442258. Borrelli B, Ritterband LM. Special issue on eHealth and mHealth: Challenges and future directions for assessment, treatment, and dissemination. Health Psychology. 2015;34(S):1205. Carey M, Noble N, Mansfield E, Waller A, Henskens F, Sanson-Fisher R. The Role of eHealth in Optimizing Preventive Care in the Primary Care Setting. J Med Internet Res. 2015;17(5):e126. doi: 10.2196/jmir.3817. PubMed PMID: 26001983; PubMed Central PMCID: PMCPMC4468568. Wikipedia. eHealth 2017. Available from: https://en.m.wikipedia.org/wiki/EHealth. O’donoghue J, Herbert J. Data management within mHealth environments: Patient sensors, mobile devices, and databases. Journal of Data and Information Quality (JDIQ). 2012;4(1):5. APA. eHealth/mHealth: Special issue of Health Psychology. 2015;34. Dalkou M, Nikopoulou V-A, Panagopoulou E. Why mHealth interventions are the new trend in health psychology? Effectiveness, applicability and critical points. European Health Psychologist. 2015;17(3):129-36. Munro S, Hui A, Salmons V, Solomon C, Gemmell E, Torabi N, et al. SmartMom Text Messaging for Prenatal Education: A Qualitative Focus Group Study to Explore Canadian Women’s Perceptions. JMIR Public Health Surveill. 2017;3(1):e7. doi: 10.2196/publichealth.6949. PubMed PMID: 28174149; PubMed Central PMCID: PMCPMC5320393. Armanasco AA, Miller YD, Fjeldsoe BS, Marshall AL. Preventive Health Behavior Change Text Message Interventions: A Meta-analysis. American Journal of Preventive Medicine. 2017. Vodopivec‐Jamsek V, de Jongh T, Gurol‐Urganci I, Atun R, Car J. Mobile phone messaging for preventive health care. The Cochrane Library. 2012. Lambert J. 8 Types Of Mobile Hospital Apps And The 3 Features Patients Want Most. Available from: http://www.merraine.com/8-types-mobile-hospital-apps-3-features-patients-want/. Research2Guidance_the_App_market_specialists. MOBILE HEALTH MARKET REPORT 2013-2017 THE COMMERCIALIZATION OF MHEALTH APPLICATIONS (VOL. 3). 2013. Mozaffar H, Cresswell KM, Williams R, Bates DW, Sheikh A. Exploring the roots of unintended safety threats associated with the introduction of hospital ePrescribing systems and candidate avoidance and mitigation strategies: a qualitative study. BMJ Qual Saf. 2017. doi: 10.1136/bmjqs-2016-005879. PubMed PMID: 28174319. Huotari K, Hamari J, editors. Defining Gamification: a service marketing perspective. Proceeding of the 16th International Academic MindTrek Conference; 2012: ACM. King D, Greaves F, Exeter C, Darzi A. ‘Gamification’: Influencing health behaviors with games. SAGE Publications; 2013. Primack BA, Carroll MV, McNamara M, Klem ML, King B, Rich M, et al. Role of video games in improving health-related outcomes: a systematic review. American journal of preventive medicine. 2012;42(6):630-8. Vale S. Big Data in Official Statistics: Classification of Types of Big Data 2013. Available from: http://www1.unece.org/stat/platform/display/bigdata/Classification+of+Types+of+Big+Data. Moschel M. The Beginner’s Guide to Quantified Self. Apr; 2013. Douglas L. The importance of ‘big data’: A definition. Gartner (June 2012). 2012. Annalect_data_management_group. The Quantified Self: How Individual ‘Big Data’ Can Improve Your Life 2017. Available from: https://www.annalect.com/the-quantified-self-how-individual-big-data-can-improve-your-life/. Ingrammicro_Advisor. Four Types of Big Data Analytics and Examples of Their Use 2017. Available from: http://www.ingrammicroadvisor.com/data-center/four-types-of-big-data-analytics-and-examples-of-their-use. Filkins BL, Kim JY, Roberts B, Armstrong W, Miller MA, Hultner ML, et al. Privacy and security in the era of digital health: what should translational researchers know and do about it? American journal of translational research. 2016;8(3):1560-80. Epub 2016/05/18. PubMed PMID: 27186282; PubMed Central PMCID: PMC4859641. Ackerman L. Mobile health and fitness applications and information privacy. Privacy Rights Clearinghouse, San Diego, CA. 2013. Entis L. How Do You Regulate the Digital Health Revolution? 2016. Available from: http://fortune.com/2016/07/18/digital-health-regulations/. Waxman S, Dayanim B, Schachne B. CRUNCH NETWORK: Legal health isn’t easy for digital health companies 2016. Available from: https://techcrunch.com/2016/04/13/legal-good-health-isnt-easy-for-digital-health-companies. Brookes L. Future challenges for digital healthcare 2017. Available from: http://www.medicalnewstoday.com/articles/317022.php.